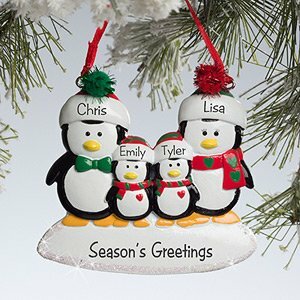 This fun and festive personalized penguin family ornament is sure to bring a smile to the whole family this Christmas. This absolutely adorable penguin family ornament is a perfect Christmas gift for family and close friends. The unique Christmas ornament can be personalized with three to six family member’s names, each professionally engraved. Additionally, you can choose to include any family title, last name or a short personal message in the shimmering snow on the bottom. Handcrafted using vibrant colors and sparkling glitter accents, this family ornament features lovable penguin characters dressed in festive red and green. The baby penguins have little painted red hearts and the mom and dad penguins are wearing jolly red and green pomp om hats. What makes this personalized family ornament extra special is that each little penguin represents a family member with everyone’s names laser engraved on the hats of the penguins. This charming family ornament includes a ribbon for more convenient hanging and a velvet bag that’s perfect for gift giving, but offers protective storage as well. 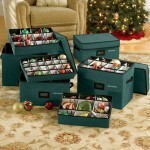 It’s an affordable keepsake that’s special because it’s personalized. Handcrafted design made of high-quality resin, bright colors and radiant glitter accents. 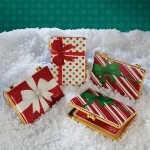 Includes a ribbon for hanging and a red velvet pouch for storing and gift giving. Measures approximately 3.5 inches high and 35 inches wide. Add 3 to 6 names and 1 line of text on the bottom. Celebrate this Christmas by giving friends and loved ones a personalized ornament that they will treasure for years to come. The penguin family ornament makes a wonderful gift when new family members arrive or when you want to commemorate the year with a new keepsake to hang on the Christmas tree. These are so cute and would be great for my son and his family. Hi! Do you still have the personalized penguin family ornament??? I can’t find it.